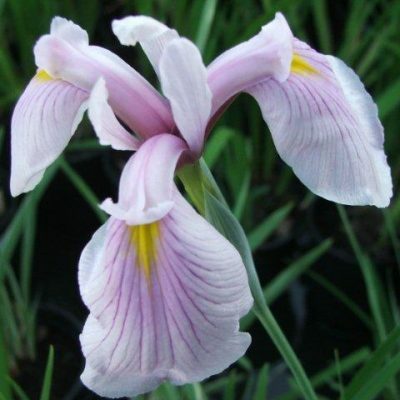 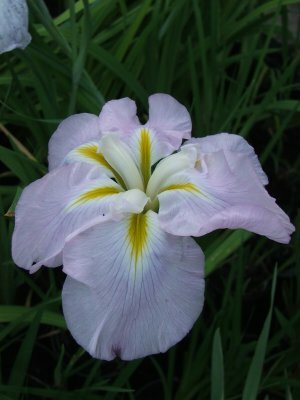 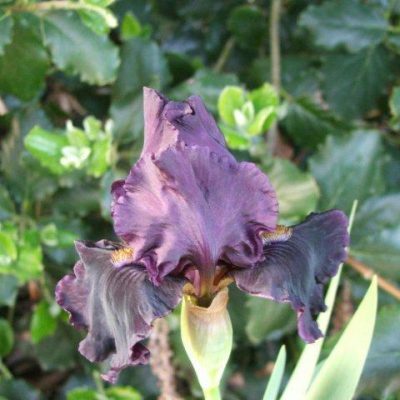 (often called Japanese Irises; previously known as Kaempferae). 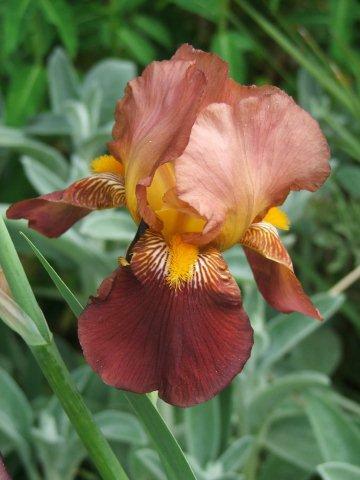 Suitable for bog & bed, not pond. 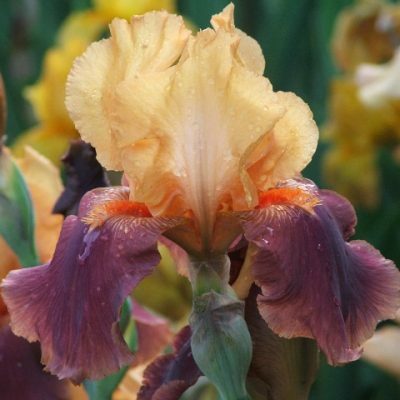 Like moist, rich soil; will grow in up to 3 inches of water in summer, but must not be deeply covered in water in winter; no lime; sunny position; can also be grown in garden bed or pots kept well watered. 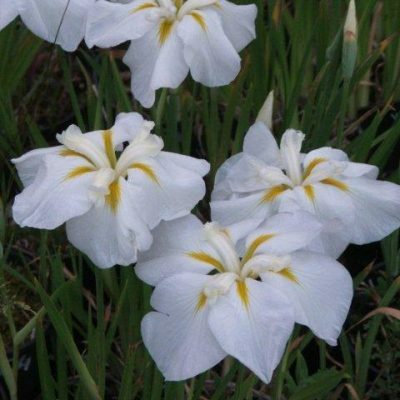 Fans of sturdy foliage; flowering stems 2 to 4 feet tall rising above foliage; flowers up to 6 inches across; colour range largely white to purple with yellow markings; innumerable variations of pattern as well as plain; flowers June and July.